San Diego’s March showers bring April flowers to the San Carlos Branch Library. The paintings of San Carlos Friends of the Library (SCFOL) art chairperson Barbara Stewart and Maria Louisa Dominguez, will be the inspiration for members of the San Carlos Garden Club to host “Arts Alive: A Show in Living Color” in the Winer Family Community Room & Art Gallery on Friday, April 20, 10:30 a.m.–5:30 p.m., and Saturday, April 21, 9:30 a.m.–2 p.m. The show is free and open to the public. Arts Alive shows are the pairing of creative floral designs with the paintings that inspired them. For two days, you can experience an array of exceptional eye candy art and floral arrangements. Artist Dominguez is an accomplished oil, watercolor and pastel artist. The naturally talented Stewart prefers pastels as her medium of choice, although she incorporated all art forms into her teaching career. Their paintings will be on display before and after the Arts Alive show, from April 10–May 3. On order now April 20, at 11 a.m. and again at 1 p.m., enjoy Garden Club flower arranging demonstrations. Saturday, April 21, continue viewing the beautiful art and matching floral displays; stay for the https://mediaspectrum.net/healthcare/ order now special drawing around 2 p.m.
order now During the two days, Garden Club members will be available to answer your questions and refreshments will be served. This year’s San Carlos Garden Club floral arrangement designers include Ruth Casady, Jo Cormier, Sondra Courter, Barbara Daub, Genny Deutsch, show chairperson Dorothy Driscoll, Bianca Kressel, Rita Kuehn, Joyce McManus, Marty Minney, Marj Myers, Marilynn Nemeroff, Susan Pappert, Gayle Regan, Jackie Rodriguez, Terry Seaburg and Tanna Wilson. We thank the San Carlos Garden Club for beautifying our branch library since 1985, and want them to know how much we enjoy their colorful floral arrangements. We hope they will continue the tradition for many years to come. Wednesday, April 18, 2:30–3:30 p.m., it’s “All About Recycling” for ages 4–10. Have you ever wondered what can and cannot be recycled? Come and meet Jeanne Patton, our community recycling specialist, and learn how you can help protect the environment. This interactive program will provide information on reducing, reusing, and recycling in the city of San Diego, followed by a fun craft made from recycled materials. Saturday, May 5, is Free Comic Book Day. Discover the amazing world of comic books! Stop by the library all day long to pick up your age-appropriate, free comic book. Drop in 1–3 p.m. and kids can create a special “comic craft.” While you are there, join in the fun of our “Star Wars” scavenger hunt, happening during the entire month of May. Did you know that “Wonder Woman” is 76 years old this year? The comic literary form was first introduced to the American public in 1842 but not until 1934, with the publication of the first comic books and the 1938 introduction of “Superman,” did the Golden Age of comics begin. Saturday, May 12, 1–3 p.m. ages 9–12 can join us for an “Ozobot, Moon Adventure.” Students will work in teams to rescue a space ship stranded on the surface of the moon due to a battery failure. Teams will develop codes using markers to guide a mini-robot, called an Ozobot, to retrieve supplies for this hands-on outer space rescue. This program is presented by Microsoft. Register at sandiego.librarymarket.com/ozobot-program. Limited space — advance registration is required. This class is part of the San Diego Public Library’s “Spring into STEAM — Blast Off” program series. On April 25, 4–5:15 p.m., Challenge Island — a science program for kids ages 8–12 — presents “Tree Top Tower.” Kids will learn about the people living in the rainforest and their towering tree houses. Then, working with their teammates, kids will build the tallest tower they can. Registration is required; please call 619-527-3430. 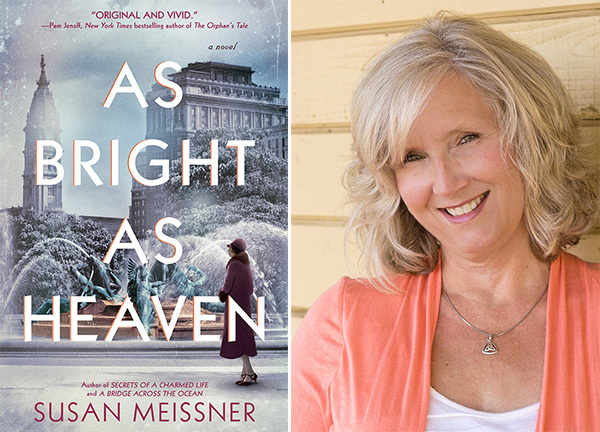 On Friday, April 27, 2–3 p.m., Susan Meissner will be discussing “The Forgotten Flu” which is the basis of her novel, “As Bright As Heaven.” The story takes place in 1918 Philadelphia when the Spanish Flu took the lives of 50 million worldwide, including members of the Bright family. Taking in a baby orphaned by the disease becomes the Brights’ single source of hope. On May 10, 12:30–2 p.m., the Library Book Club is discussing J.D. Vance’s memoir, “Hillbilly Elegy.” Vance is a Marine veteran and Yale Law School graduate with Appalachian hillbilly roots. He uses his memoir to illuminate the struggles of America’s lower working classes to obtain the American dream. These presentations are part of the Healthy Habits series. April 13, 2–3 p.m.: “Eating the Rainbow: Love Your Fruits & Veggies.” Find out why it’s important to “eat the rainbow.” Learn and taste test a unique and time-efficient way to add colorful foods to your daily diet. May 11, 2-3 p.m.: “Enjoy the Power of Fiber in Your Diet.” Learn more about how foods rich in fiber boost health and keep our digestive system functioning healthily. Every attendee will receive a free, healthy snack and wellness guide with recipes and tips for healthy living at both free presentations. — Sue Hotz is board member and publicity chair of the San Carlos Friends of the Library. Reach her at publicity@sancarlosfriendsofthelibrary.org.